William B. Eerdmans Publishing Company, 9780802873859, 192pp. 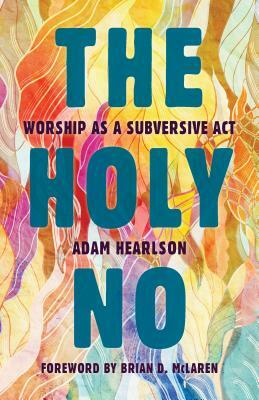 In this book Adam Hearlson argues that Christians can say a holy "no" to oppression and injustice through the church's worship practices. "To speak the holy no," Hearlson says, "is to refuse to be complicit in the oppression and violence of the ruling power. It is the courageous critique of the present and its claims of immutability." Hearlson draws widely from Christian history to uncover ways the church has used its traditional practices--preaching, music, sacrament, and art--to sabotage oppressive structures of the world for the sake of the gospel. He tells the stories of particular subversive strategies both past and present, including radical hospitality, genre bending, coded speech, and apocalyptic visions. Blending history, theory, and practice, The Holy No is both a testament to the courage of Christians who came before and an encouragement to take up their mantle of faithful subversion. Adam Hearlson is a scholar, preacher, and teacher. An ordained minister in the United Church of Christ who has served various congregations and taught in seminaries and colleges, he speaks across the country about preaching, worship, and subversion.